The BBC's Director of Future Media and Technology Eric Huggers has insisted that the licence fee should be extended to those people who access programmes through the corporation's online iPlayer. Huggers, who the BBC insists was expressing a personal opinion rather than the stance of the broadcaster, told the Broadcasting Press Guild that the licence fee should cover the iPlayer as well. "My view is that if you are using the iPlayer you have to be a television licence fee payer. I don't believe in a free ride," said Huggers. "If you are consuming BBC services then you have to be a licence holder," he added. 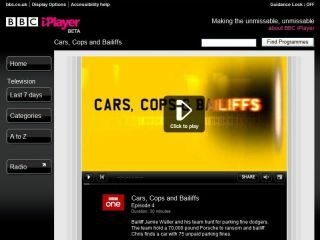 Currently, online catch-up viewing via the iPlayer is exempt from TV licence legislation, with a permit only required if the programmes are watched live. However, with the internet beginning to flourish as a means of watching television, there are obvious potential problems ahead as non-linear broadcasting takes hold.